This post is meant to accompany newbies as they register a Amazon Seller account and list their first products. 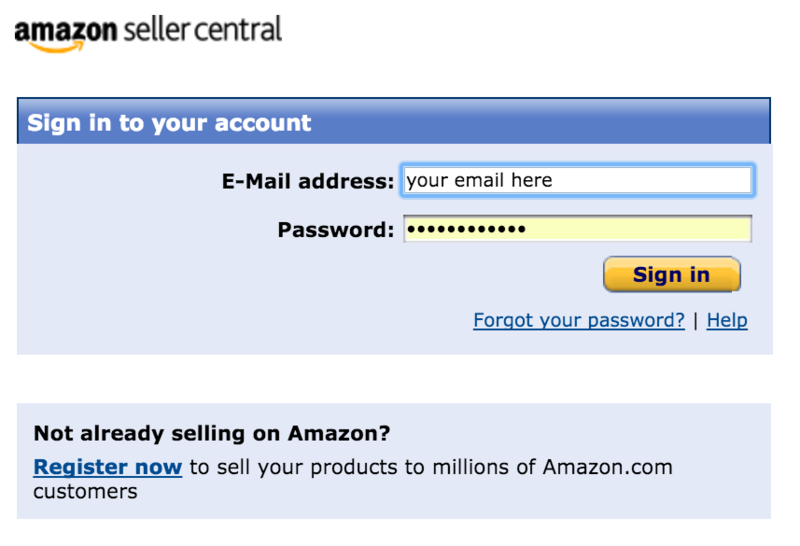 Read this post first for general meaning, register your seller account and then go through the specific steps one-by-one while you are in your Amazon seller account. I do not profit in anyway if you sign up to sell on Amazon. 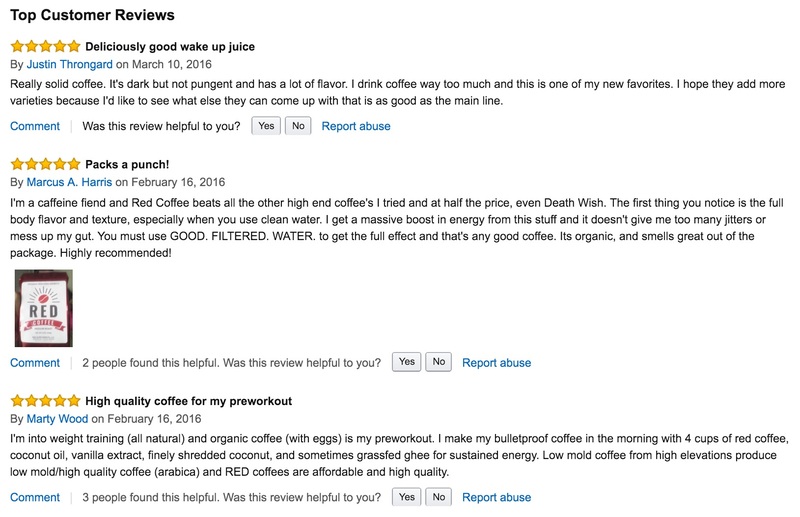 We recently launched our line of high-end dietary supplements and organic coffee called "Red Supplements - Supplements That Actually Work" and needed to figure out how to get our new line listed on Amazon. Although I have 4+ years as an Amazon affiliate (selling other people's products), starting a product line on Amazon was a completely new experience. We are going show you how to get started so you can sell your own stuff on Amazon too - even if it's just old books and video games. I'll have the statistics and screenshots to show you exactly how to make money on Amazon in the future. I generally like to make $250,000+ before I give specific financial advice. This post is simply to show you how to get started. Why Should I Sell My Product On Amazon? Amazon is the world's largest retail search engine. It is almost 5x more popular than eBay. Over $150,000 dollars change hands every minute on Amazon. Virtually every popular retail or consumer product is available for purchase on Amazon. It is very easy to sell your own products on Amazon once you get it setup. You don't even have to handle the shipping if you don't want to. If you are in the USA, chances are, the majority of your online purchases are via Amazon. Selling on Amazon is pretty basic. You don't need to buy a book to understand how this works. Here are the specific steps. I suggest you complete Step #1 (sign up) and then come back to this post. There are two ways to sell a product on Amazon. The first way is to list a product that is already for sale on Amazon. In this case, you will indicate the quantity of products you have to sell, the condition of the product(s) and the shipping options. You are probably familiar with this if you've ever sold books or video games online. The second way is to list a product that is NEW to Amazon. This is what we are going to focus on. You need to register for a seller account on Amazon. You probably already have an Amazon account for buying stuff. But everything related to selling on Amazon is in a different place. Seller Central is where you will create listings, manage orders, communicate with buyers, obtain information about your seller performance and more. It’s your headquarters for all selling activity on Amazon. Once your account is set up, go through the tabs at the top of Seller Central and familiarize yourself with their functions. Don't freak out, it might look complex but it's pretty easy after you get the basics down (just follow our guide). You won't be using most of the functions anyway. 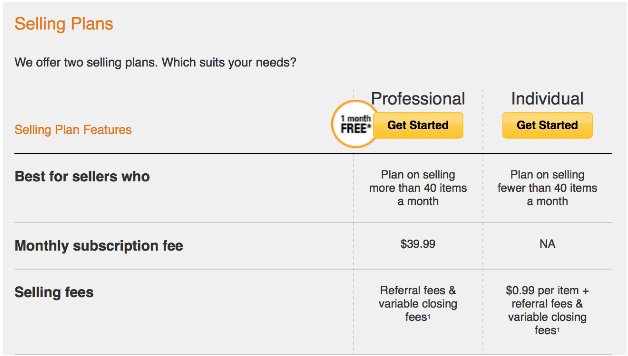 When you sign up to be an Amazon seller, you can choose from two selling plans: Professional or Individual. There are a few important differences. A Professional plan costs a flat rate of $39.99 per month no matter how many items you sell. This type of plan definitely makes sense if you are planning to sell a lot of items. An Individual plan is a better option if you are only making a few sales a month because it charges you $0.99 per sale. There is no monthly subscription fee. Most people will want to start with the Individual plan and then upgrade to a Professional plan when you start making 40+ sales a month. Both accounts allow you to use Fulfillment by Amazon (FBA, Amazon will ship your products for you) and sell to the US and Canada. Certain bulk listing and reporting tools are only available to Professional sellers. As a Professional seller, you can also customize shipping rates for all of your products instead of using Amazon’s standardized pricing models. Other benefits of being a Professional seller include access to restricted product categories, the capacity for promotions, gift wrap and top product placement. Keep in mind that you can always choose to upgrade or downgrade your selling plan (in Settings) so don’t feel that you need to make your final decision at the start. On the top right of the page in Seller Central, there is a Settings tab. In the drop down menu of the [Settings] tab you will find [Account Info] at the top of the menu. This is where you can edit your business display name, customer service info and storefront link. You are required to have a customer service email but a phone number is optional. Another great feature found in the Account Info tab is that you can temporarily suspend your listing while you go away on vacation. Other important features of this tab for you are your selling plan (Individual or Professional), notification settings and your deposit method. Lastly, you will use the Account Info tab to designate your business address information, shipping and returns information and your tax information. This is a very important tab so make sure you go through each section carefully. You don't have to have a business to sell on Amazon. I've sold stuff on Amazon for almost a decade. 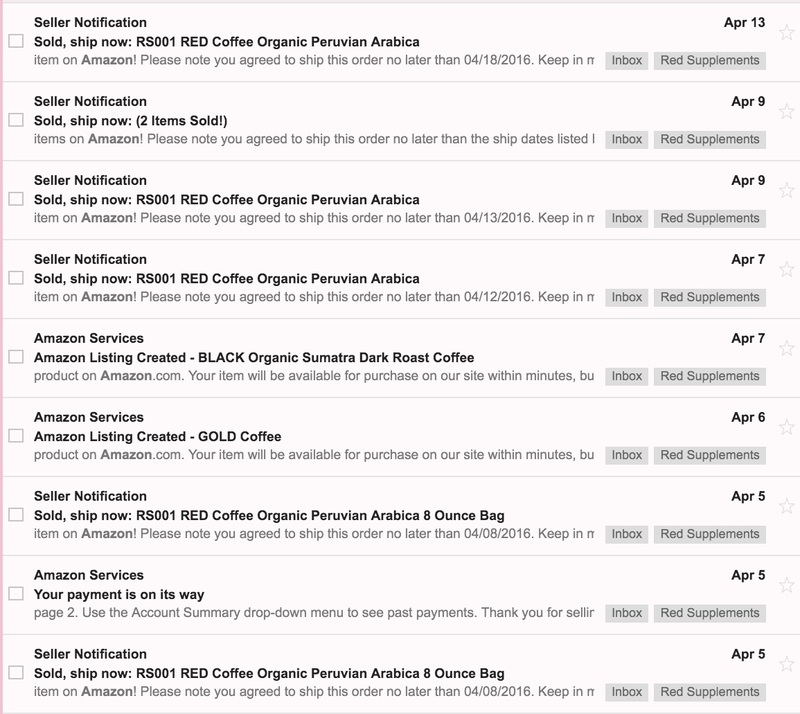 Note: Amazon generally submits payments to your designated account every 14 days. Before I moved to Los Angeles, I sold all my old books and video games. This is a great place to start if you don't have your own products to sell. I learned more about selling on Amazon by doing this than from any "How to Sell on Amazon" books ever taught me! In the drop down menu of the Settings tab, you will find Your Information and Policies at the bottom of the menu. There you can set up your seller bio, custom help pages, shipping policies, an FAQ page and more. Most importantly, this tab is where you can insert a JPG or GIF of your logo image. Note: your policies cannot conflict with any of Amazon’s policies. Let’s cover how to list your first product. To get started, go to the Inventory tab at the top of Seller Central. If you’re adding your new product (that’s completely new to Amazon), select “Create a new product listing”. You will be taken to a screen that requires you to enter the product category and provide the necessary product information required by Amazon. Note: certain product categories require specific approval from Amazon before you can list in them. That will be covered in detail later. Even though only certain pieces of information are required to list your product, it’s important to provide as much information about the product as possible. Products with more information are better sellers and are favored by Amazon's search rankings. Do not misrepresent your product, your entire account will closed. For most (but not all) product categories, sellers are required to use an industry-standard product identifier when creating new pages in the Amazon.com catalog. The most common identifier is a UPC (scannable barcode number). If you don’t have a UPC, you will need to buy one for your new product. Nationwide Barcode is a site we successfully used to purchase UPCs. When you’re finished entering your product information, click Save. Keep in mind your product may take up to 30 minutes before being displayed on Amazon. 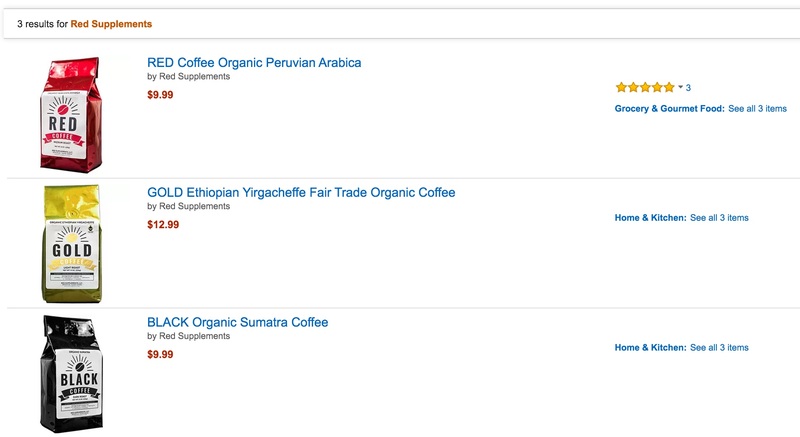 To have the most optimal product listing on Amazon, you want to make sure you follow some guidelines. Your listing will consist of images and detailed information about your product. Have you ever wanted to buy something but couldn’t make a decision because the seller had crappy images? Don’t be that guy. Professional images are a must. If you can't shoot these yourself, hire an inexpensive photographer on your local Groupon and show him the information below. See “image requirements” for the specifics that Amazon wants. For your product title you should capitalize the first letter of each word except for conjunctions and use only standard text. Do not include any information on price or quantity in your product title. Do not use all caps, promotional messages or subjective commentary (this looks sleazy and spammy). In the 'key product' features section make sure you highlight the top features about your product that you want your customers to consider. Write these out in simple fragments and don’t use punctuation like periods, hyphens, exclamation marks or symbols. Do NOT write vague statements and be as specific and concise as possible about your product’s features. Further down on the detail page is the product description. This section differs from the title and key product features above because you can go into greater detail about your product. Take advantage of the space and write in standard paragraphs about your product. Include any information you think would help customers choose your product for their needs. Make sure to include accurate dimensions, care instructions and warranty information. This is where you can create a story behind your product for marketing purposes. Be creative. To fulfill the order, go to Seller Central and at top click the Orders tab. From the dropdown menu, click on Manage Orders. All the data pertaining to the order will be there: the order date, details, shipping information and current status of the order. On the right hand side, you will find a convenient list of action items to take on the order. After you ship the order, you will need to use the Confirm shipment button to confirm shipment of the order. You can put the tracking number in there too. This is what a shipped (confirmed) order looks like. Notice the titles on these books! I don't even think I ever read ANY of them. Learn from REAL EXPERIENCE (and GLL) not books! Books help 1% of people, experience helps 100%! You need to make sure EVERY order is confirmed and accounted for. If you do not confirm shipment of an order within 30 days of the order date, Amazon will automatically cancel the order and not charge the buyer (even if you already shipped the order). Make sure you confirm all of your orders otherwise they will be considered "late" and you can get your account temporarily restricted as a "late shipper". We learned this from experience! You can send/confirm your shipments via the Amazon dashboard, but you can also hook up Amazon to shipping software. 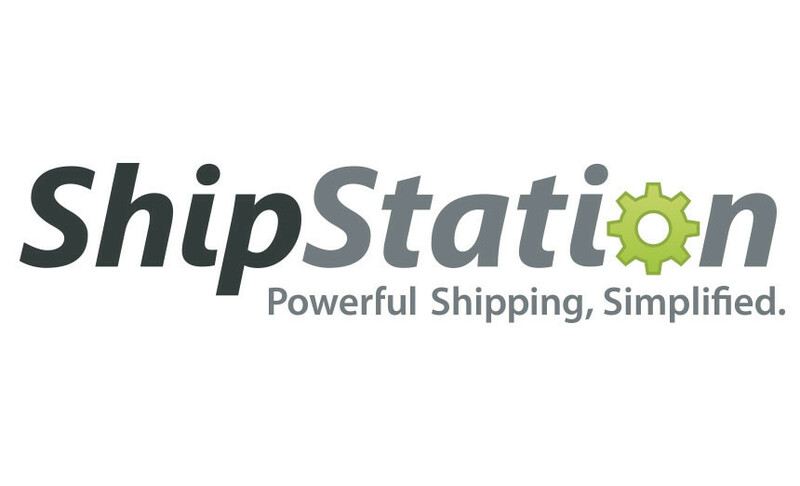 We use Shipstation for virtually ALL of our orders. When you ship your products via Shipstation, it will automatically update the status and tracking numbers on Amazon so you will not have confirm them one-by-one. You either handle the shipping and customer support on your own OR you let Amazon handle the shipping and customer support via their Fulfillment By Amazon (FBA) program. We’ll cover FBA in a later section of this article. For now let’s focus on what you need to do if you are going to ship your products yourself. If you decide to do your own shipping you can pay for and print shipping labels right from Amazon. As stated above, once you receive a notification that an order has been placed, you should go to 'Manage Orders'. Your orders will be listed in descending order from the most recent order placed. From this page you can buy shipping, print shipping labels, confirm shipments or cancel orders. If you’re going to be shipping the same kind of package over and over, you can set up a shipping template to save time for future orders. 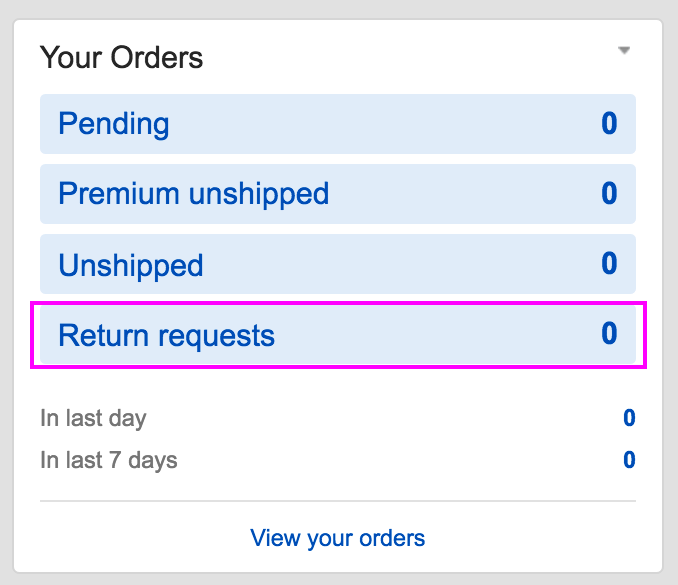 To set your shipping settings, go to the Settings tab on the top right of Seller Central and click Shipping Settings. Even if you ship every 24 hours, make sure your "standard" shipping speed is at least 3-5 business days. If you set it at "1 day", your orders will be marked as 'late' if it is not shipped (and scanned) in 24 hours! Start by specifying your ship from location. Next, specify which regions you will ship to and which shipping services you will offer to your customers. Finish by deciding how much you will charge your customers for shipping. You will need to choose a shipping model to use. Very likely you will be choosing between Price Banded Shipping or Per Item/Weight Based Shipping. Price Banded Shipping means you will offer shipping rates that vary by the product price range, such as $0 to $25, $25.01 to $50, $50 and up. Each price band has it its own shipping rates. When a customer buys your products, Amazon reviews the total order amount (excluding tax), identifies the band for the total price and applies your shipping charge for the price band. Per Item/Weight Based Shipping means you set a charge for each shipment and either a per-pound or a per-item charge for handling. When a customer buys your products, Amazon applies your per-shipment charge and then calculates the appropriate per-pound or per-item charge for each item in the order. You can also offer free shipping. If you ever want to change your shipping model, click “Change Shipping Model” in Shipping Settings. The right model for you will be highly dependent on what your product is so familiarize yourself with all the models available before making a decision. There is a video dedicated to each kind of shipping in the Seller University video course. This free course is the best way to become a pro at selling on Amazon. "Shipstation 101: Shipstation & Amazon"
Fulfillment By Amazon (FBA) is a service that warehouses, picks, packs, ships and provides customer support for your products. If you decide to use FBA, you will ship your products to an Amazon fulfillment center (FC). When a customer makes a purchase from you, the fulfillment center will ship out the product for you. Amazon will also support that purchase with 24/7 customer support and returns handling. Products with FBA are eligible for free 2 day shipping with Amazon Prime, which if you didn’t know already, is the preferred way to use Amazon for many shoppers. One of the greatest advantages of FBA is that you are not limited to only selling on Amazon. You can also use FBA to fulfill orders for your own website and eCommerce stores. It’s very easy to get started with FBA. When adding a product to your inventory, in the offer tab of your product summary, select “I want Amazon to ship and provide customer service for my items if they sell”. This option appears under Shipping Method. After you click Save and Finish, you will need to follow the instructions on the process of shipping your products to a fulfillment center. In case you’re not sure if FBA is right for you, you can always start out shipping your own products and then switch over to FBA when you’re ready. If a customer wants to make a return, you will receive an email notification. Go to your Seller Central and at the top click on the Orders tab. Select the 'Manage Returns' tab from the dropdown menu. There you will be able to view the request and decide whether or not to authorize the return. Amazon recommends that you respond to return requests within 24 hours for best practices. Similar to the menu in 'Manage Orders', the 'Manage Returns' page has a convenient menu on the right hand side of action items to take on each return. Use that menu to take action on the return. If you accept a return, you have the option to issue a full refund or a partial refund minus restocking fees. Amazon provides a useful table for determining appropriate restocking fees. Search for it in the search bar at the top of Seller Central. From the 'Settings' tab go to 'Return Settings' to make your returns easy and painless. The main thing you need to decide on is whether you want to deal with returns manually or alternatively, have Amazon automatically do it for you. You can choose whether you want to provide your customers with pre paid mailing labels or have Amazon provide unpaid mailing labels. Lastly, you can use this page to write out customized return instructions for your customers. Remember to make returns as simple and easy as possible for your customers. You will receive an email if a customer is requesting a return. Make sure your return policy very clear if all sales are final. Since you want to maintain the highest seller rating possible, pay close attention to the items on the above list. Failure to keep a high rating can prevent you from being able to list new products. Since our company is new, there's not much Seller feedback in there. Delivery arrived super fast!! Great seller. What a terrible awful person. Amazon’s Brand Registry is a special program specifically for sellers who manufacture or sell their own branded products. To apply to register your brand search for “brand registry” in the search box in Seller Central. There are certain products and categories on Amazon that require approval to sell. There plenty of products that Amazon will not allow you to sell, don't assume you can sell anything you want on here. You will still want a website for your entire product line. You cannot list products without first obtaining approval from Amazon. For these categories and products you will need to submit an application, meet certain requirements and obtain approval. To find out if your product needs approval, do a search in Seller Central for “approval”. From the search results, click on “Categories and Products Requiring Approval”. That will provide you with the full list. You can then click on the specific category of your product. To start the application process, simply click on “Request Approval”. You need to follow their instructions VERY CAREFULLY as they are extremely strict in what they allow. You will not get past their approval team by just doing the bare minimum. This is especially true if you are planning on selling any supplement, food item or any product that people ingest. To repeat: follow the requirements in the application exactly as they are written. You will save yourself a lot of time and headaches. Note: to sell any product that requires approval, you MUST have a Professional selling plan in good standing. This guide should get you started selling your own stuff on Amazon. For more information, the best resource by far to become a pro at Amazon is Amazon Seller University. Go through the videos and carefully take notes on the important details. We DON'T recommend any books for 'How to Sell on Amazon'. You don't need a book, you just need an Amazon Seller account and you will learn everything you need to know. Have a great product or a 'good enough' product with a low price that meets a demand and just tell people about it. Forget the "tricks" and "hacks" that make a 1% difference. Bring a good product to the market and people will be happy to give you money. If you like to ask extensive questions or discuss online business, sign up our "Get Paid" forum. Yep, for sure. Competitive multi-national corporations are constantly doing that to each other. I'm currently not looking to sell on Amazon (at this moment), but I really enjoyed this article. If and when I ever do I will refer to it. Thanks Chris. Hey Chris, awesome post. Two quick questions, where is a good place to find products? And also how do you market your products on Amazon to beat the competition? 1) start with the big wholesale markets, alibaba, madeinchina, etc. China is the land of opportunity. However, be cautious when outsourcing branded products from them. Unless that company is based from China itself, more likely the product will be fake. If you have the time and luxury it's best to travel to the country and find real suppliers. been doin' a lot of niche research lately and can't decide yet, but I already have a list of potential products to sell. and yeah alibaba is a good place to start. good luck!! Just wondering, did you ever write up any articles about how to select products, where to get them, and basically just a 'how to' guide on the process of reselling products? Other then "there needs to be a demand", how do you go about product selection? Thanks! That will be material for my book one day. My first suggestion is to sell a product that you are [ideally] more famliar with than 99.99% of people. You should be a TOTAL EXPERT on your first products (frankly all your products, but thats not always possible). Take a look around GLL, I'm an expert with 99% of the products that I recommend. That is key because thats where the 'competitive edge' comes from. I normally don't comment on an article yet alone be bothered by it, but this one is good. Really informative! Impressed it got me to read on one sitting with all the wall of texts. when do you decide to make a website to sell your products? amazon is good but it feels differrent to have a specific website for the products you're going to sell. it is more fulfilling and professional. I can attest about the awesome customer service of Amazon. The returns and exchange are stupidly easy to follow. So far no hassle on record when I'm using Amazon. I'm a regular buyer there but didn't know about the FBA stuff. I'd like to mention the downside and upside of using Amazon's FBA. Con: The seller typically charges 3x of what the items cost them to cover all the necessary fees like list fees, handling fees, shipping to and from Amazon, etc. Pro: Selling via FBA generates massive orders compared to the marketplace (where the sellers does all the shipping) because of the number of prime members. 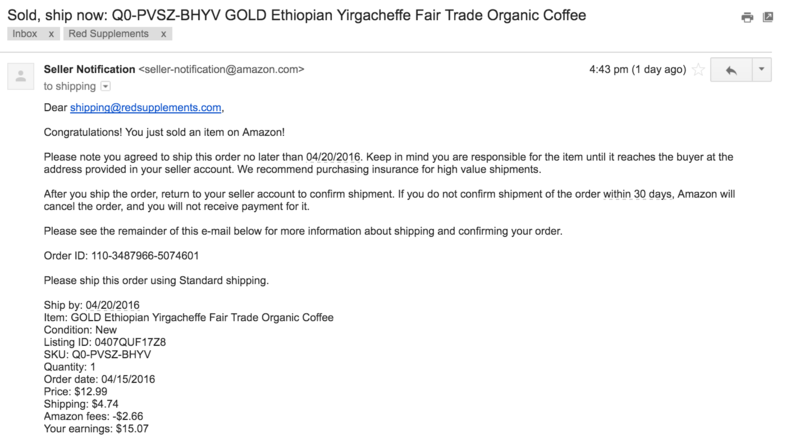 Whether one chooses FBA or not, clearly Amazon is a good way to start any business right. It is a platform for newbies and like what the author said you don't need books, just make your Amazon account and take it from there. with all the praises on amazon, it's not really the go-to-website of all buyers. there are plenty of extensions that can auto compare prices and point out the lowest priced product across multiple sites. Some can even apply coupons. I usually shop at AliExpress but nonetheless I use amazon too, even if costs a little more. great guide btw! the money making machine is at it again in providing great content. thanks for this chris. now i'm torn between amazon or having my business at shopify.